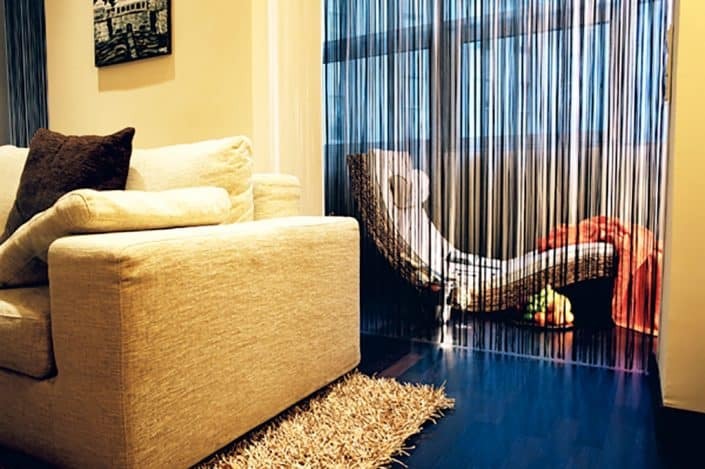 Enjoy temporary living in an excellent central location. myplace City Centre comprises of 33 modern, luxurious, elegant and fully furnished Serviced Apartments only 5 minutes walking distance from the famous St. Stephan´s Cathedral and the renowned shopping mile Kärntner Strasse. Whether for 1 week, for 1 month or for a whole year – by yourself or with your family – on business or pleasure – or even for medical reasons, our serviced apartments in the 1st district of Vienna offer everything you may require to make you feel comfortable and relaxed. 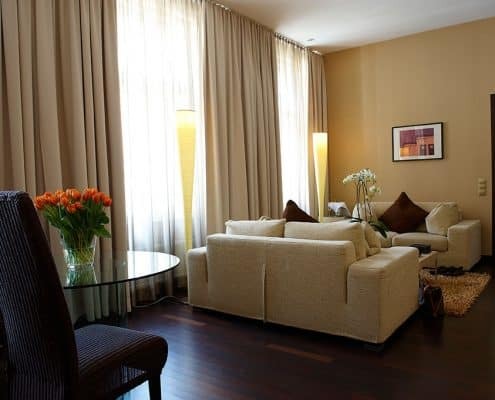 Spacious and fully furnished residences (37m² to 105 m²) with up to 2 bedrooms. Luxurious and elegant Studios, Suites and Apartments with high-quality furniture and functional design. 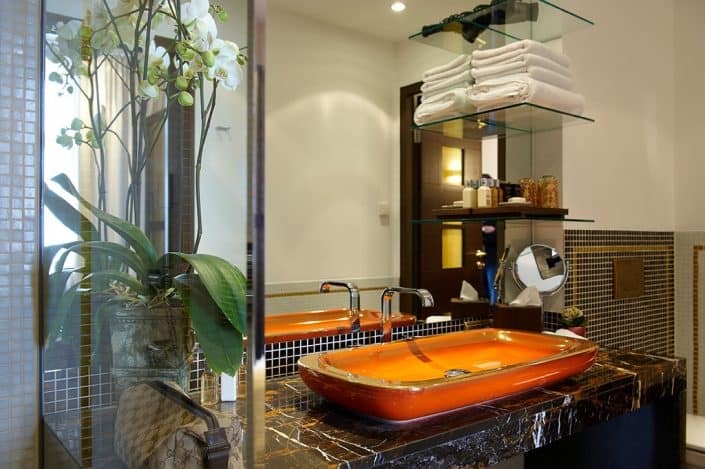 The interior design with its unique combination of contemporary and elegant elements creates a warm and relaxing atmosphere. 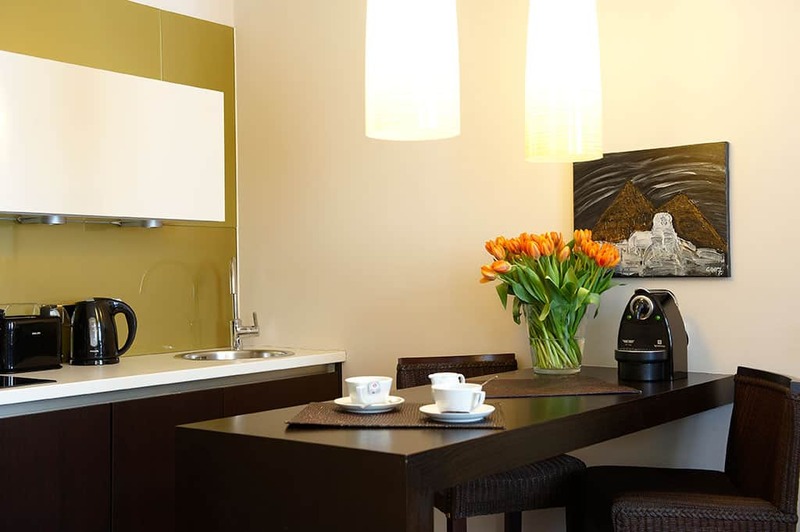 Completely equipped kitchenettes with coffee machines from Nespresso are offered in each accommodation. 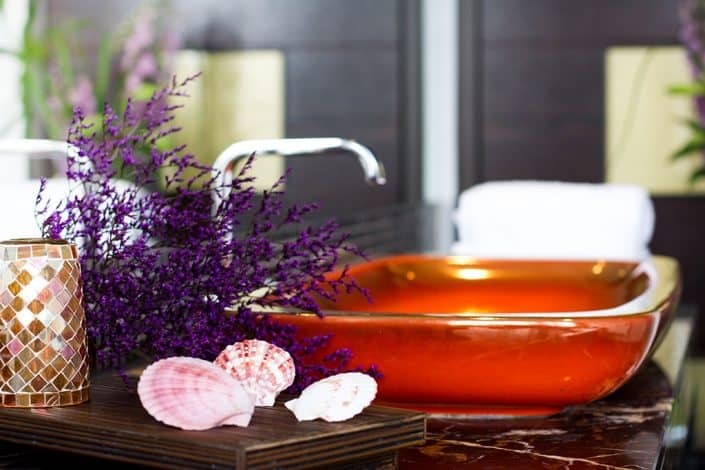 A modern fitness lounge, a high-tech business corner and a skyline terrace with a 360° magnificent view over the city of Vienna complete your comfortable stay at myplace, your home away from home. Our beautiful Lotus Lounge you can reserve for small meetings and events. At myplace City Centre we serve a Viennese breakfast buffet for a small surcharge. We offer “all-day” concierge service. 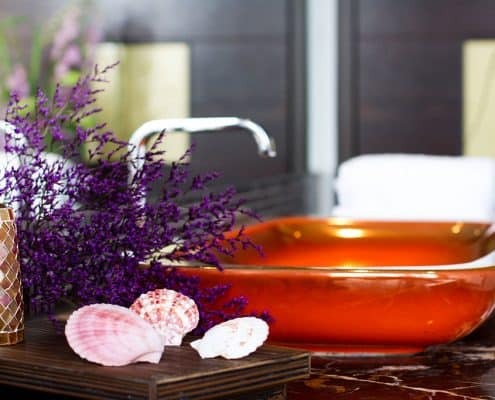 Our Concierges strive to offer the best in service to make your stay a memorable one. myplace City Centre with its excellent location and spacious rooms in combination with the services of a hotel offers the perfect alternative to a hotel. 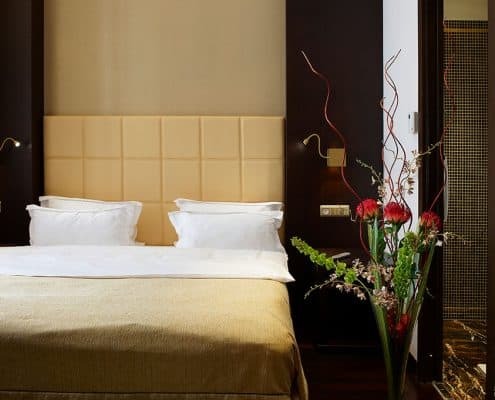 Centrally located – close to the U1 / U4 subway station Schwedenplatz and U1 / U3 subway station Stephansplatz – we provide perfect access to the Viennese public transportation as well as bike paths. Within 30 minutes you are at the Viennese Airport! We are happy to arrange a limousine pick-up from and to Vienna International Airport. Please send us your flight details and arrival time. Depending on the traffic the journey takes between 20 to 30 minutes. There is a bus ( Line VAL2 ) leaving from the airport going to the “Morzinplatz”. From there it is just 5 minutes walk to the hotel. (about 30-40 minutes, depending on the traffic). Tickets can be purchased directly from driver for 8 EUR per person. You can also take the train called CAT (City-Airport-Train) It leaves the airport and stops at “Landstraße, Wien Mitte”. 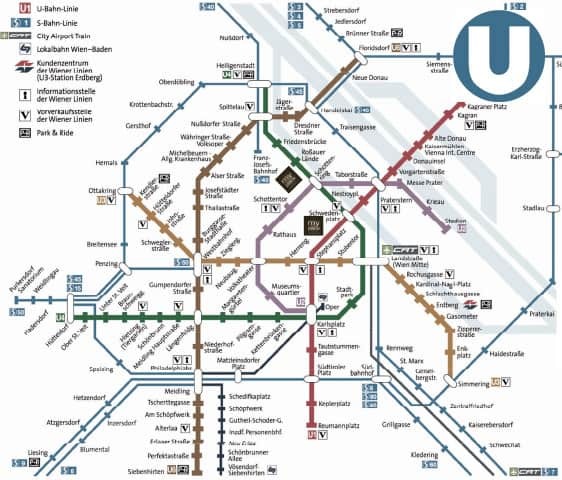 From there you can take the underground U4 direction “Heiligenstadt” and exit at “Schwedenplatz”. Then it is just 5 minutes walk to the hotel. (about 25-30 minutes) The CAT costs 12 Euros per person oneway. The train called S-Bahn also leaves the airport and stops at “Landstraße, Wien Mitte” (about 30-40 minutes). From there you can take the underground U4 direction “Heiligenstadt” and exit at “Schwedenplatz”. Then it is just 5 minutes walk to the hotel. The train costs 4,40 Euro per person. 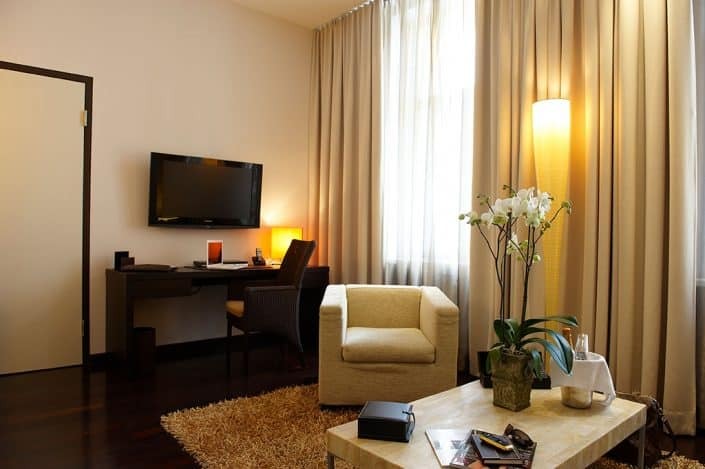 The myplace City Center has 3 Standard Studios, facing the court yard, located on the first floor. 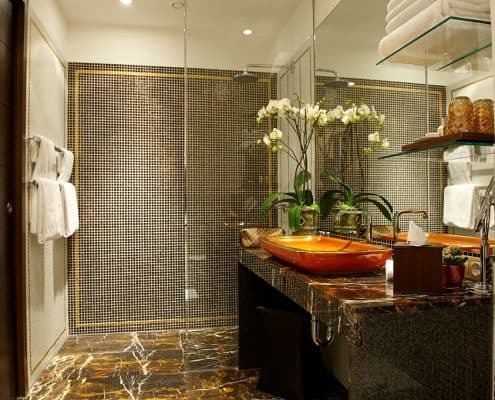 The rooms measure into one big bed- and living room with kitchen, a separate entrance hall as well as a luxurious marble bathroom with a walk-in shower. 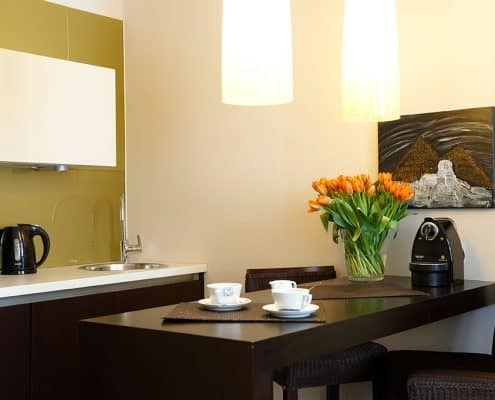 All rooms of this Category feature a fully equipped kitchen, a Nespresso machine, a large closet as well as a flat screen TV with DVD player. The 6 spacious Deluxe Studios , which are all facing the quiet court yard, provide all the advantages of the Standard Category. 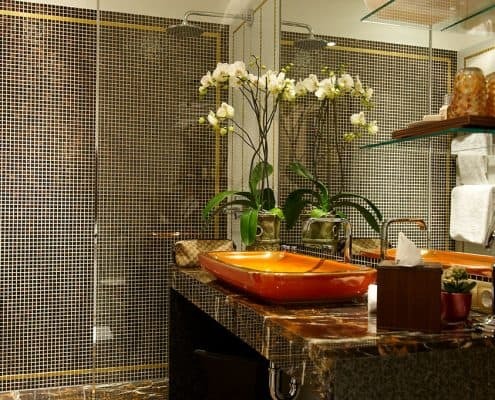 In addition a relaxing, charming and light winter garden completes the warm atmosphere of these golden and brown colored rooms. The window shutters, giving the possibility to completely darken the room as well as the spacious winter garden were one can comfortably put an extra bed, make this room ideal for families. 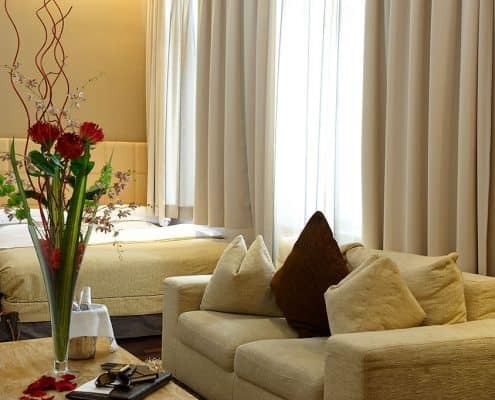 The 14 pretty Junior Suites, elegantly furnished are ideal for guests wanting to treat themselves to a little more luxury. 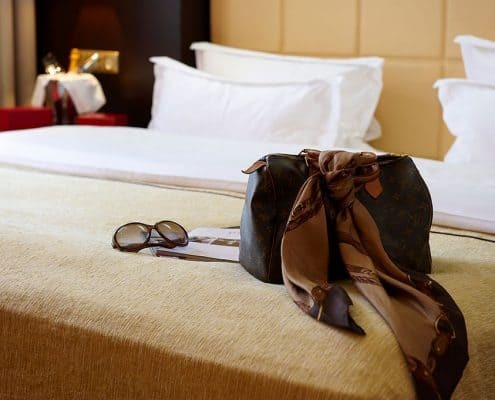 These spacious suites with their separate bed room, the comfortable living room, a fully equipped kitchen and a marble-tiled bathroom offer a view to Vienna`s city center. 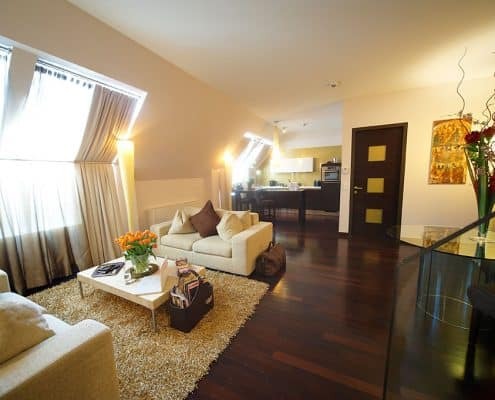 3 of the Junior Suites are facing towards the inner court yard, for a quieter city experience. Floor: Mezzanine, 1., 2., 3., 4. 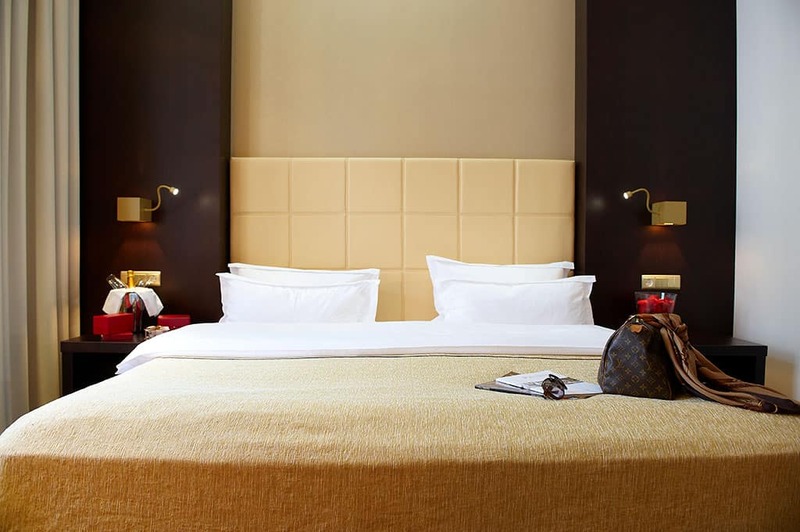 Our 5 Executive Suites offer the purest of luxury in the center of Vienna. 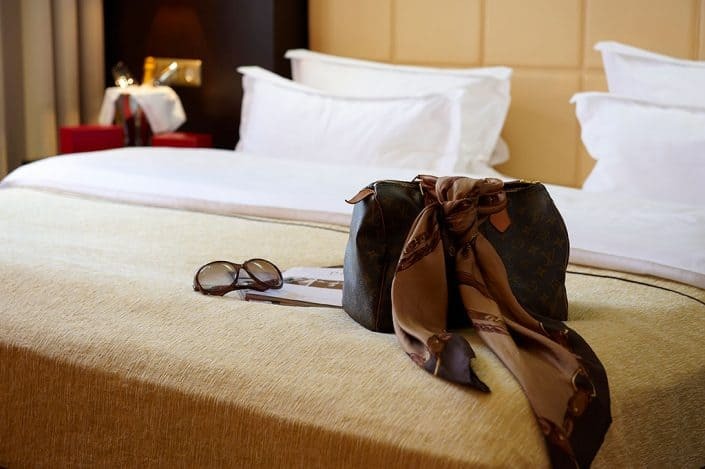 You will find only one of these exquisite Suites on each floor. Captivating with its light and modern Charme this suite offers the comfort of a city apartment. The generously sized living- and dining space lends itself perfectly for business meetings as well as for a relaxing holiday. 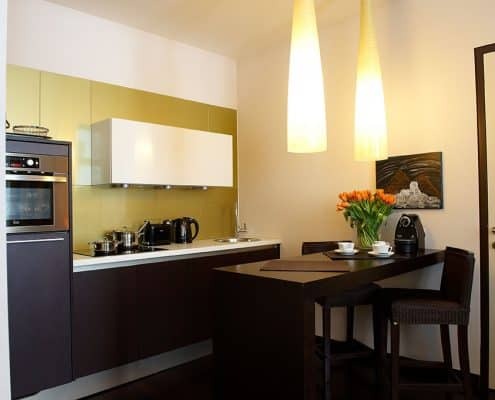 The apartment with its marvelous city views as well as its space and luxury offers the ideal compensation to the hectic city life of Vienna`s cultural center. 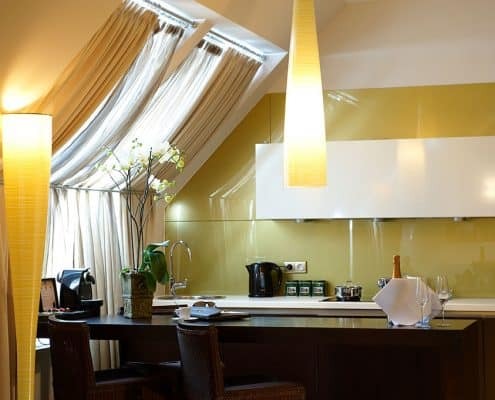 The 3 Maisonette Suites are the summit of every City Trip. 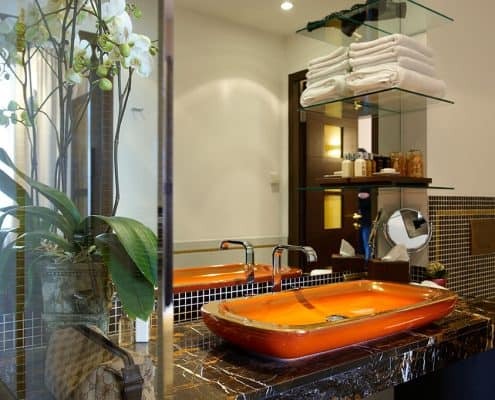 A picturesque view to the inner City or the inner court yard in addition to high quality materials and luxurious custom-made furniture create a wonderful flair on 2 floors. 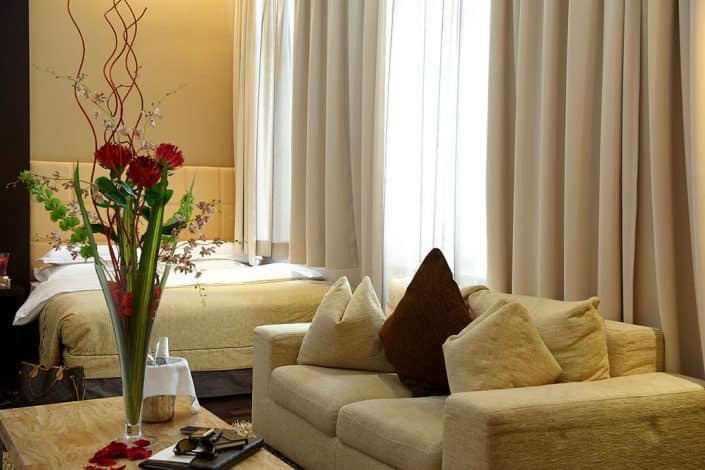 Due to the dining and living area being separated from the bedroom this suite is ideally designed for business meetings and romantic dinners. 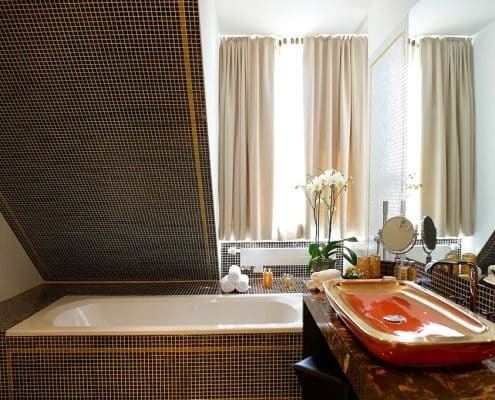 The spacious bathroom with its large bathtub suites perfectly for relaxation after a long day. 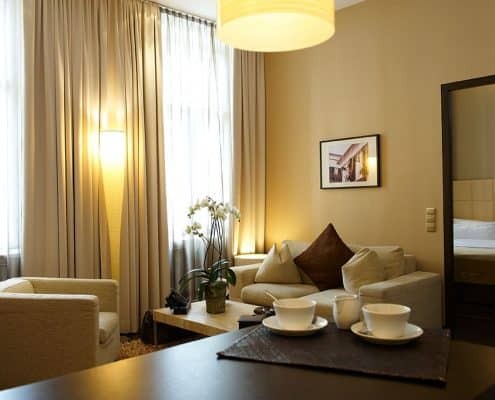 All in all these apartments represent pure luxury and comfort for unforgettable days in Vienna. 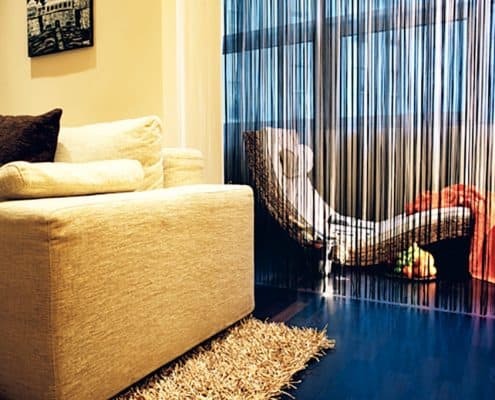 Experience a sense of living like in the upper east side of New York. complies with the Penthouse category. Spreading over 105 sqm with its large windows this apartment will open new perspectives. 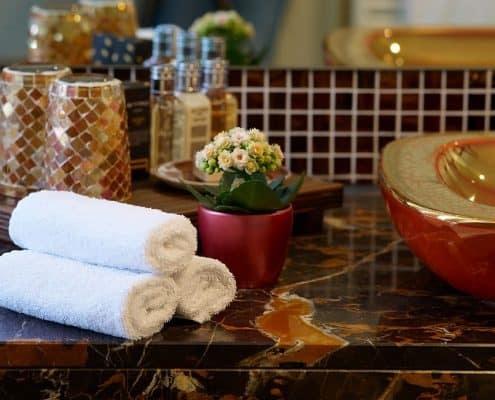 myplace`s largest Suite features two separate bedrooms, located on two floors with en suite marble bathrooms, a separate entrance hall as well as an additional restroom for guests. The commodious living room with a comfortable sitting area, a vast dining table and a stylish kitchen satisfies the needs of even the most demanding guests. 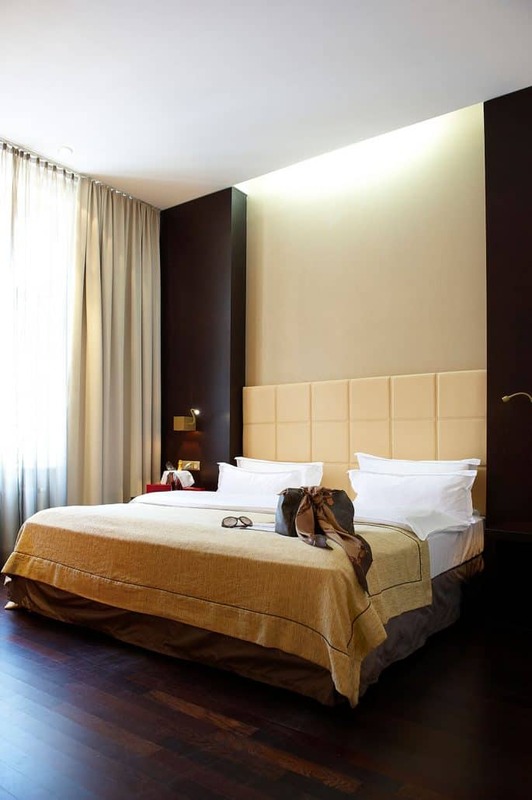 The large double bed applied with fine down beddings will surely make you sleep like an angel.